PINE CONES COPPER SILVER Christmas wrapping paper counter roll 500 mm x 50 mtr gift wrapping paper. Designed & Manufactured in Australia using strong 80gsm gloss white paper sourced from certified sustainable plantation forests. 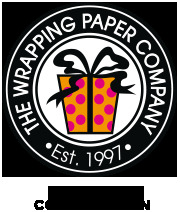 All designs are Copyright of The Wrapping Paper Co. Price includes gst & delivery.